THE High Court has dismissed an application by a 22-year-old Gweru man who was suing the Zimbabwe Electricity Transmission and Distribution Company (ZETDC) for more than $250 000 after he was electrocuted by a low-lying electricity cable. Mr Erasmus Dube was electrocuted on December 14 in 2015 while passing near a low lying 11 kilovolt power cable in Hozheri village in the Midlands province. He was coming from school when he came into contact with the live electrical conductor. He sustained severe injuries which resulted in his left arm being amputated. 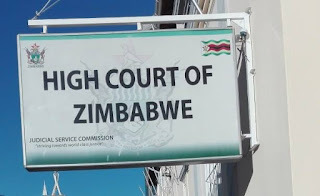 The ruling by Bulawayo High Court judge Justice Martin Makonese follows an application by Mr Dube through his lawyers, Mutendi, Mudisi and Shumba Legal Practitioners, citing ZETDC, Gweru, as the defendant. Justice Makonese said Mr Dube’s version of how he was electrocuted was not consistent with the established facts. “The court’s finding is that the plaintiff must have deliberately or carelessly handled the live electrical conductor which was two metres above the ground. In that regard therefore, liability on the part of the defendant could not be established,” said Justice Makonese. He said Mr Dube failed to establish any particular wrongful or negligent act on the part of ZETDC. “What is clear from the totality of evidence is that the plaintiff must have suffered the electrocution when he deliberately came into contact with a live electrical conductor. The plaintiff, by his own admission, already knew about the dangers of electricity and voluntarily assumed risk when he came into contact with the live electric conductor,” said the judge. In dismissing Mr Dube’s application, Justice Makonese said the plaintiff failed to prove any particulars of negligence against ZETDC. The judge said there is no basis upon which the court would be able to award Mr Dube the damages in the absence of any credible evidence. “It is my finding that the quantum of damages claimed by the plaintiff is way above the range of damages usually awarded by this court in cases of electrocution resulting in amputation. The plaintiff did not adduce any evidence from any expert on future medical expenses. The plaintiff’s claims were somewhat exaggerated and the figures were certainly plucked from the air. In the result, the claims be and hereby dismissed with costs,” ruled Justice Makonese. Mr Dube said he suffered permanent disability and had to drop out of school after he was admitted for three months in hospital. He wanted an order directing ZETDC to pay him $252 239,47 being damages for bodily injuries, pain and suffering, permanent disfigurement and loss of amenities, medical expenses incurred and future surgical operation and medication. Mr Dube accused ZETDC of negligence. “I sustained severe injuries as a result of electrocution leading to the amputation of my left hand. The defendant failed to take reasonable measures to fix a fault which had occurred, knowing fully well the dangers associated with it,” he said. Mr Dube said he suffered electrical burns which resulted in him being amputated. He was taken to Gweru Provincial Hospital before he was later transferred to Mpilo Central Hospital. “I suffered unwarranted shock, trauma and shock. The medical reports show that I suffered 25 percent electrical burns and 70 percent disability of the left arm caused by the electrical heat wave of 11kv induced into my body,” said Mr Dube. The plaintiff, who used to play soccer and volleyball, said the injuries were now a hindrance to his hobbies. Mr Dube, who is left-handed, said he is now having a torrid time trying to learn how to use his right hand. ZETDC, through its lawyers Danziger and Partners, said it was not liable for Mr Dube’s electrocution, arguing that the victim deliberately handled the conductor which was hanging two metres above the ground after lightning struck the wooden pole on which the conductor was sitting.